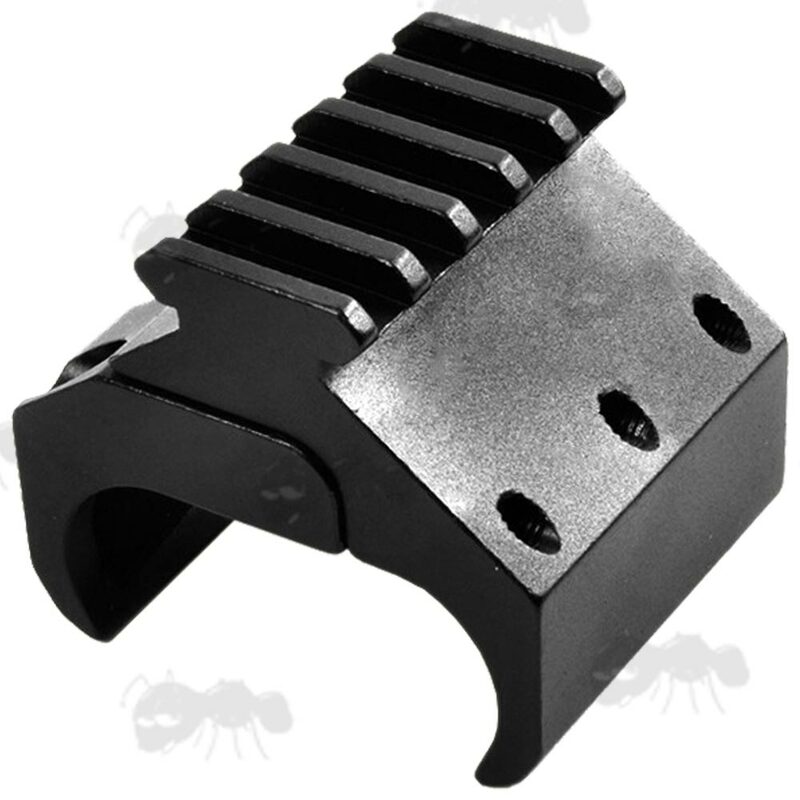 For attaching rail fitting accessories such a torch, sight or laser. Also available ~ Universal barrel rails. 40mm long with five slots. For 18mm to 26mm wide barrels. For 42mm to 46mm wide barrels. Provides a picatinny / weaver accessory rail. Can be made to fit wider barrels by using longer screws. High durability aluminium alloy in black matt. 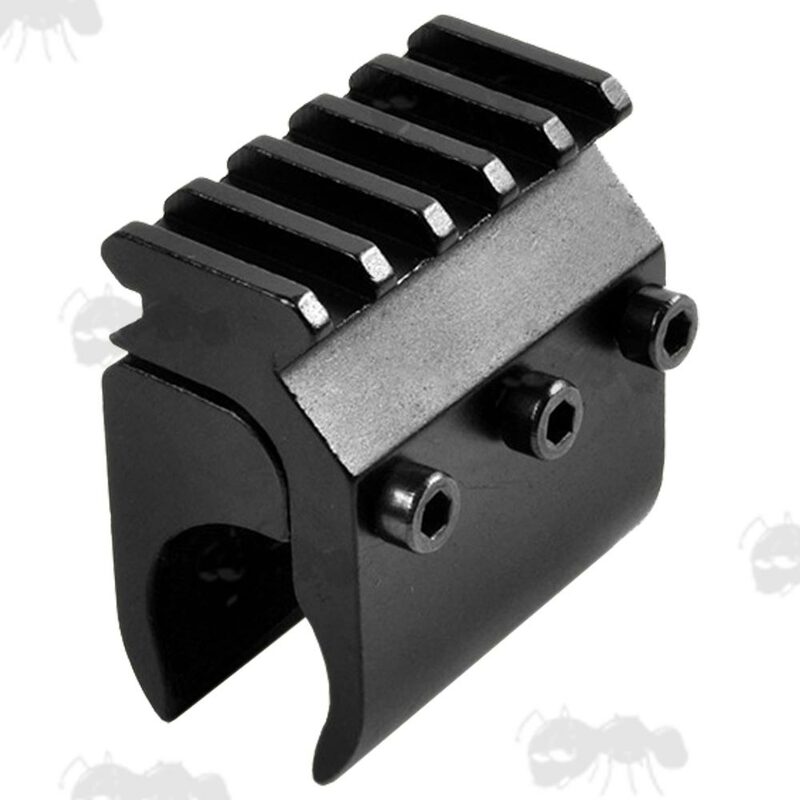 It attaches directly to your guns barrel. To allow the fitting of accessories like flashlight, laser, etc. 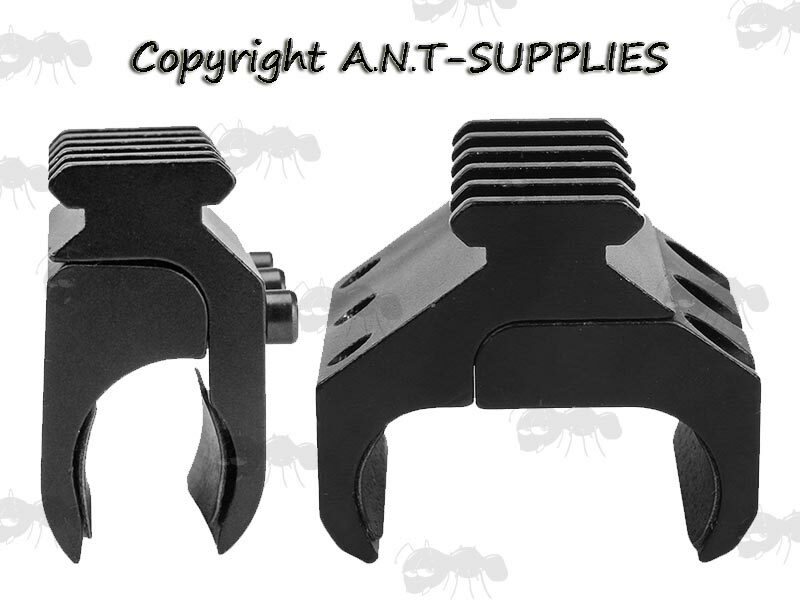 Also available ~ Shotgun magazine tube rails.